TimberRock Energy Solutions, the award-winning R&D and product development subsidiary of TimberRock Advanced Energy, today announced a new energy storage platform called REH-FLEX™. Although solar panels, electric vehicles and battery storage are transforming the electrical grid into a bi-directional energy network, the inverters used to move energy in-between these resources and the grid currently lack the power-throughput and functionality to deliver all of their potential benefits. Second, REH-FLEX is enabled with machine-learning capabilities via a cloud-based Complex Event Processor (CEP) called DE-MAP™. DE-MAP can combine data from multiple sources to quickly infer events, identify complicated circumstances and exploit economic dispatch opportunities. The CEP supports aggregation and disaggregation into virtual power plants, computational intelligence and eventual participation in transactive, peer-to-peer energy systems. Finally, REH-FLEX incorporates novel switch gear that allows battery storage and generators to be dispatched as a merchant power plant through a wholesale meter while keeping air-gap isolation from the load and retail, customer meter. During a grid failure, the switching technology redirects the generator and storage assets to power the entire building as a microgrid. Sophisticated monitoring and telemetry ensure there is no co-mingling of electrons from the wholesale or retail side of the system. Initial REH-FLEX deployments are under contract and will begin early in the second quarter of 2017. TimberRock Energy Solutions, Inc., (TRES) is an R&D and product solutions company focused on the integration of solar PV, storage and EVs. TRES is a subsidiary of TimberRock Advanced Energy a next generation energy services company, providing clean energy, microgrid power delivery and demand side energy management via an open-platform energy services platform called GENESIS. An award winning company and industry leader, TimberRock’s commitment to economically and environmentally sustainable delivery of electric energy has been widely recognized in leading business and professional publications. TimberRock’s ground breaking work with GM’s On-Star and EVs for grid balancing has been recognized by Forbes and Navigant Research has highlighted TimberRock as a Microgrid Industry Leader. 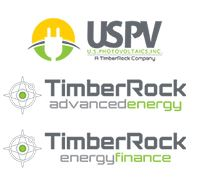 TimberRock is a recipient of the National Sustainability Award, the Energi 2015 Energy Innovator Award, PV America’s 2014 Project of Distinction Award and the Maryland Energy Administration Game Changer Award. Headquartered in Frederick, Maryland, TimberRock serves thousands of commercial and residential clients in the US. TimberRock has R&D facilities in Orlando, Florida and offices in New York City.